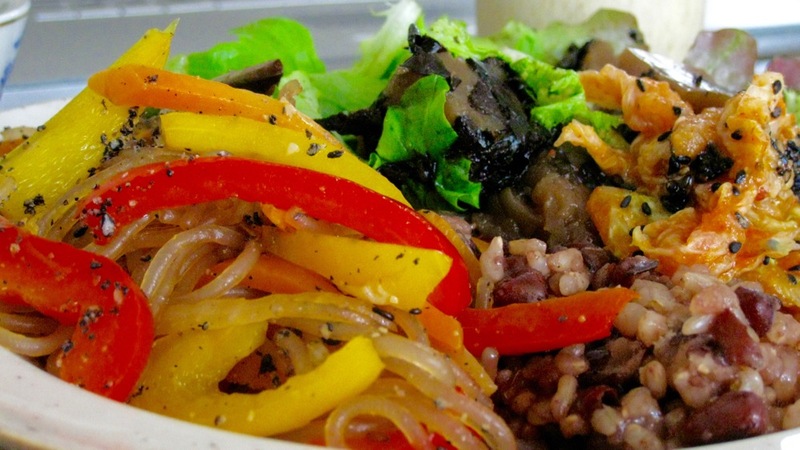 This article explores how to eat macrobiotic low calorie foods. We learn what sugars are, how we use them and their implications on our health and weight. We will also learn simple and easy ways to consume less sugars in our diet and how to take in energy in a way that encourages stable blood sugar levels, leading to long lasting energy. Carbohydrates are the part of a food that contains directly useable energy. Carbohydrates ultimately break down into glucose which is used to fuel our cells. Other forms of energy are dietary fat, which can be stored as fat and later converted into glucose. Protein, which can be converted to glucose as a last resort. Calories are a measurement of the energy contained in a food. Assuming we absorb all the energy in a food, calories tell us how much energy we have put into our bodies. This is useful in terms of finding out whether we are putting too much energy into our body. The basic science is that if we consume 2000 calories of energy in a day, but only use 1750 calories then we have 250 calories left over. We turn the unused 250 calories into stored energy in the form of fat. If we then reduce our daily energy intake to 1500 calories and still use 1750 calories to create warmth, movement and fuel all our organs, we will need to convert 250 calories of stored energy, or fat, into useable energy. The glycaemic index (GI) measures how quickly we convert dietary calories into glucose, and therefore useable energy. The quicker the conversion that higher the number. The range is 1 to 100 with 100 being the fastest absorption of calories. Refined white sugar is used to calibrate 100 in each human tested. The GI is interesting as it tells how quickly energy is coming into our blood and whether we might use it up before turning it into fat. The GI is valuable for weight loss as it makes the process much easier by reducing cravings for more energy, and reducing the cycle of turning energy into fat and all the hard work of converting the fat back to energy again later. The basic mechanism for controlling blood sugar is that as our blood sugar rises we secrete insulin to absorb the sugar out of our blood for later use. So if our blood sugar rises quickly (in the GI this might result from eating a food with a GI of more than 55) then we produce insulin and absorb the sugar. If we do not use up that energy, it will turn to fat. The faster our blood sugar rises the quicker we absorb sugars. When we have the same number of calories coming into our body, but absorb them more slowly, we increase our ability to use up the energy as it comes into our blood. Another interesting event happens when we consume foods high in the GI. We risk over producing insulin, leading to a blood sugar low. We experience this as feeling weak and tired with huge cravings for carbohydrates or something sweet. Our body will generally prefer us to eat more carbohydrates to increase blood sugar, rather than convert stored fat back into available energy. The amount of energy it takes to digest and absorb foods will vary. Generally foods require more energy to absorb when eaten raw and when high in fibre. Some high fibre foods, like celery, require more energy to be absorbed than their available calories, meaning we lose energy just eating them. When considering calories, use values for the food as you will eat it. For example use the calories for a cup of soup, rather than the ingredients. 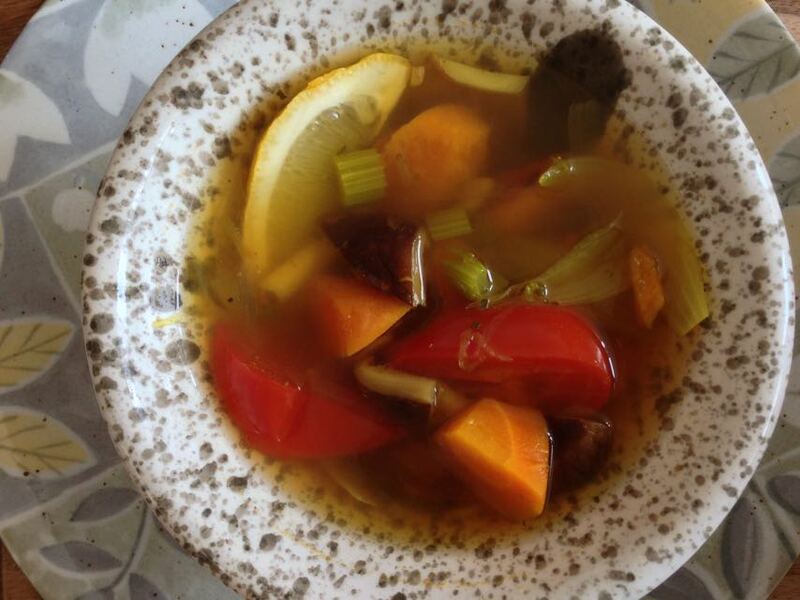 We feel just as full and satisfied with a stomach full of liquid food, such as a soup, fresh vegetable juice or raw fruit, as a similar volume of drier food. This works even though the liquid is mostly water, which has no calories. In terms of yin and yang, generally, foods that provide more energy (or higher in calories) are more yang, however, if they are so high they provoke an insulin rush and subsequent blood sugar low, the food is initially yang but soon becomes yin. Refined sugar cane, high fructose corn syrup or white bread would be examples of this. The longer we cook and the higher the temperature, the quicker we absorb the calories from the food. So, for example, boiling (100 degrees C) a potato results in a GI of 50, frying a potato (180 degrees C) a GI of 78, and baking a potato (220 degrees C) a GI of 89. (100 is the same a refined sugar cane). Just as important as the energy we consume is the energy we use up. Just by being alive we use energy fueling all our cells, our minds consume energy, we need energy to keep warm and we convert calories into movement. Our biggest, energy hungry muscles are the gluteus maximus muscles that we think of as our bottoms. These combine with other muscles in our legs for activities like walking, running, cycling, climbing stairs and squats. So running up a hill on a very cold day will consume a large number of calories. Eating roughly the correct number of calories for our daily needs in a form that is low in the GI will mean our weight will be stable. Ultimately weighing ourself at the same time each day will tell us whether we are matching energy absorption with energy used. In terms of food, we are looking to eat sufficient energy for our needs, in a way that brings that energy in slowly so we have sustained energy throughout the day. Essentially this will be a diet of healthy macrobiotic low calorie foods. The list below tells us more about the calories and GI of various foods. This food group tend to be low in the GI whilst being relatively calorie rich. This makes them useful for slow absorption of energy. Nuts will also provide larger quantities of oil. Beans tend to bulk up soups and stews and are a good substitute for grains if you want to keep your blood sugar more stable. 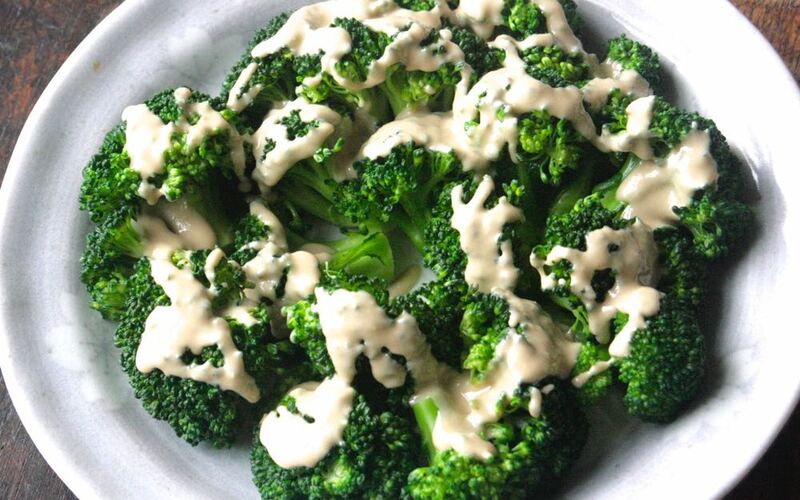 Vegetables vary considerably in terms of calories and the GI. Essentially green vegetables are low in calories and the GI whereas the sweeter vegetables like carrots, sweet potato, pumpkin and squash will be higher in calories. This can be mitigated by cooking them in soups and stews where their calories will be a smaller portion of the whole dish. Raw vegetables in the form of salads will be lower in the GI and require more energy to digest. Raw fruits are low in the GI and relatively low in calories. Apples, pears and plums help maintain stable blood sugar levels. As raw fruit has a high water content we can feel full and satisfied for longer with the calories from fruit, than for example a cracker with the same number of calories. Dried fruits like raisins, apricots, dates and figs will be more concentrated in terms of calories and the GI. This is partly because they lack the high water content of fresh fruit. We can compensate for this by eating the dried fruit with liquids. For example dried fruits, nuts and tea could combine to make a satisfying snack, and as long as the tea is filling enough not to eat too many dried fruits, the overall calorie intake can be mild relative to other forms of snacks, like biscuits, cake or chocolate. Grains are a relatively concentrated source of calories. This makes them a useful source of energy. In terms of the GI whole unprocessed grains like brown rice (GI 55) will be lower than processed grains like white rice (GI 67). Similarly wholemeal bread can be low (GI 55) whilst white bread very high (GI 90). So best to eat whole rice, wheat and oats. Particularly low in the GI are quinoa, barley and rye. The longer the gains are cooked and the higher the temperature the more available the calories become and the higher the GI. So boiled grains will be lower in the GI than baked grains. honey, maple syrup, rice syrup, molasses, barley malt, agave. There are many syrups we can use to sweeten dishes. These are a useful alternative to refined sugar for sweetening deserts. Honey has been used for thousands of years. Its position in the GI changes dramatically (GI 40 to GI 70), depending on what the bees have been fed on. Generally, bees feeding on wild flowers will have a much lower GI rating than those fed on refined sugar. Maple syrup is taken from the trunks of maple trees, whilst syrups like rice syrup, molasses and barley malt are processed. Agave is a relatively new syrup. In terms of calories remember the syrups vary in sweetness and are often sweeter than refined sugar cane, therefore we may need less of a something like honey compared to refined sugar cane to achieve the sweetness we are looking for. This will reduce our calorie intake. Syrups will be high in calories and the GI. They will be lower in the GI than refined sugar, and contain useful nutrients along with their calories. Sugar is refined from the sugar cane plant and in that sense is a natural food. The image of sugar has become distorted as we typically consume so much of it, and so many of our calories come from sugar, that it is seen as one of the main culprits for obesity, diabetes and heart disease. Sugar is high in the GI (GI 100) and only contains calories, no other nutrients, so if too many calories come from sugar, we risk becoming deficient in other nutrients. Many soft drinks are sweetened with high fructose corn syrup, especially in the USA. Like sugar and other syrups this is high in calories and the GI. There is a lot of controversy over the health concerns of this type of sweetener and has been associated with increased risk of diabetes, obesity and heart disease when consumed in excess. 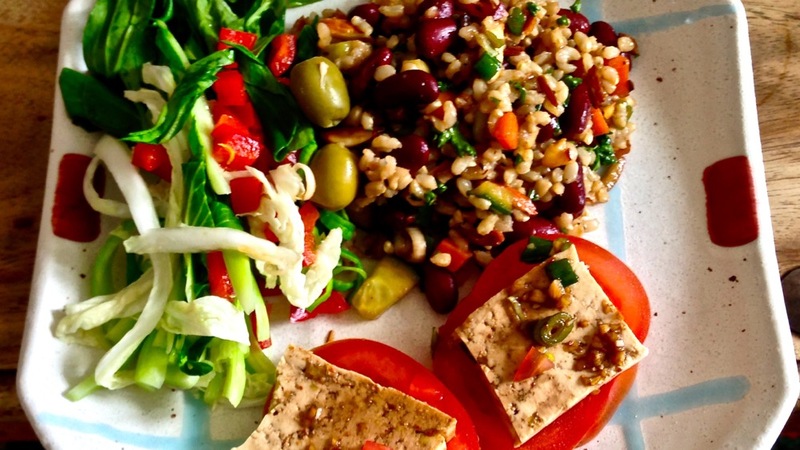 8 practical steps to macrobiotic low calorie foods. Eat raw fruit as a snack instead of biscuits, cakes, chocolate or crackers. Drink teas that do not need sweetening, such as green tea. Eat salads and raw vegetables at every meal and less other foods. Try porridge with nuts, seeds and fruit for breakfast instead of breakfast cereals or toast and jam. Enjoy fresh vegetable and or fruit juices or smoothies instead of soft drinks or alcohol. Learn to make delicious sugar free deserts. Eat more vegetables and beans but less grains. Enjoy soups at meals and reduce other foods. For help with a macrobiotic low calorie foods for weight loss, and to learn to improve your health naturally book a macrobiotic consultation with Simon. Call 07543663227 or email so you can discuss your situation.